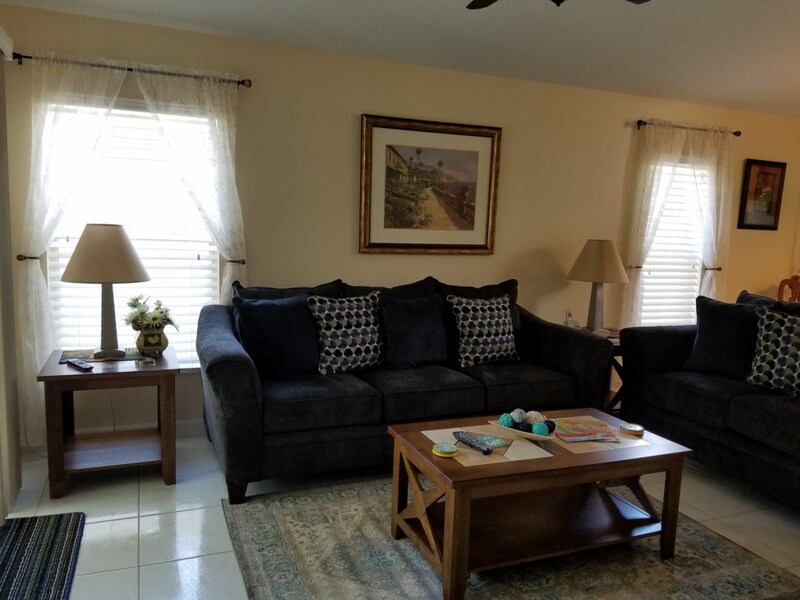 Creekside Blvd and is one of the closest vacation communities to Disney World, just 10 minutes away. 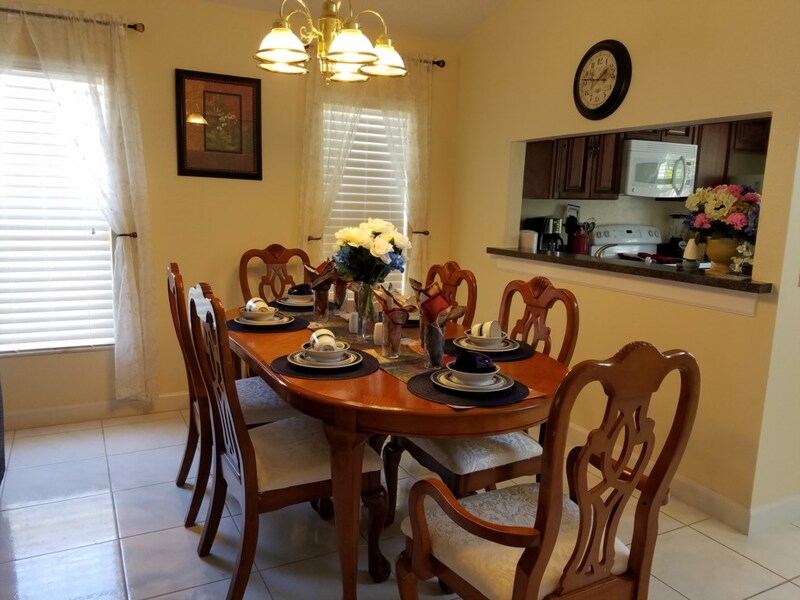 This classy Disney Vacation Home on the ultimate community only minutes from Disney World. This pool holiday villa is very well furnished and remodeled in 2017 to give a completely comfortable stay. There is a large screen T.V. in the open plan living area. This home is complete in every way and equipped for your needs, including all linens and towels. Everything is setup in this great Disney vacation home. This Kissimmee vacation home has every modern convenience in a very tranquil surrounding. A good sized living area, dining area and a fully equipped kitchen, with breakfast nook. Everything you could possibly need is provided, and if you need anything just call the property management. Plenty of room to relax and renew in the open plan living area. With a king size master suite decorated in soothing colors to complement the Floridian landscape, a chic queen bedroom and a twin room, there is plenty of room for everyone! The villa features a large patio with a large sparkling private pool that gets the sun all day. There is also high speed internet. Creekside in one of the nearest vacation resorts to Walt Disney world! You will just love this location. Within walking distance to a supermarket, ATM, shops and restaurants. 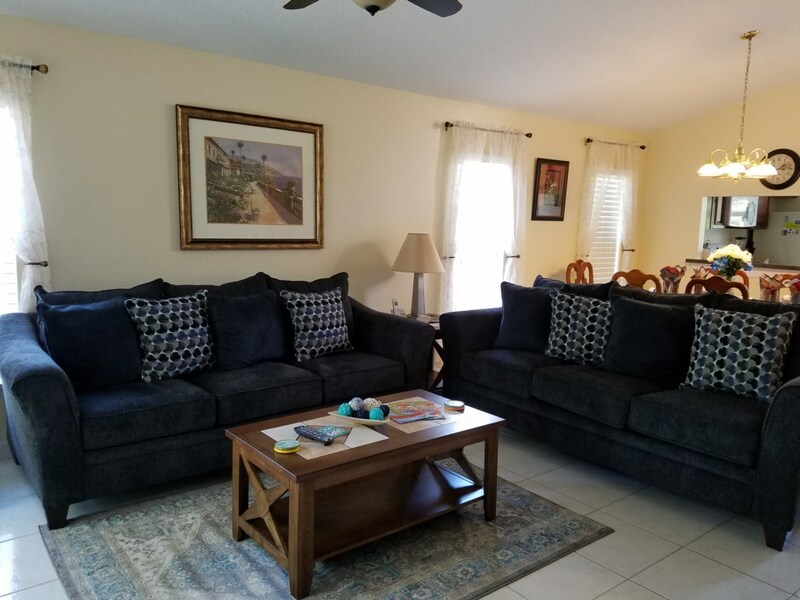 Genuinely just minutes from Disney, Bass Villa is located off <?xml:namespace prefix="st1" />Bass Road, just one minute’s drive from Highway 192 with all its shops and restaurants yet in a quiet residential community – perfect for relaxing after a hard day at the parks! We have real easy access to the I4 for Universal Studios, Sea World and the attractions of International Drive. 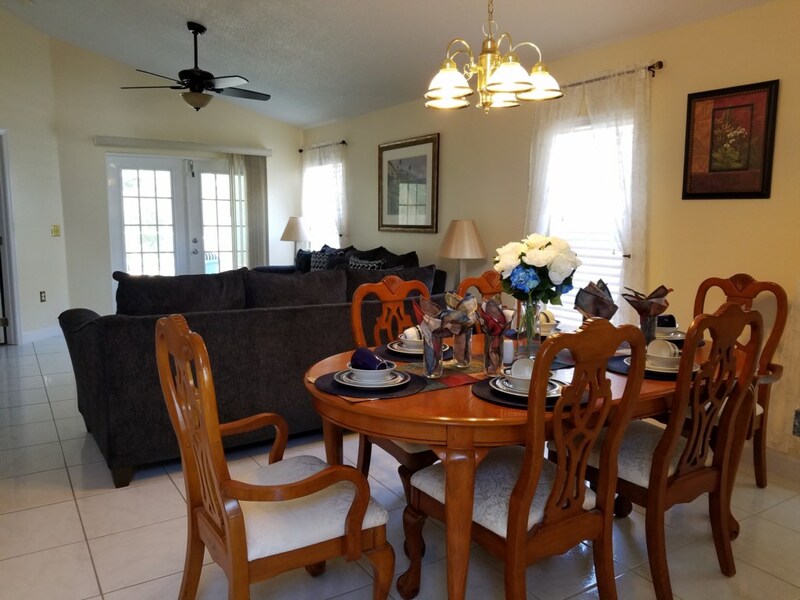 Our Florida home is larger than the average three bedroom house and fully air-conditioned, cool space. Our south facing pool backs on to a conservation area – not another pool and we have privacy screening both sides of the Villa. Step out to enjoy an early morning swim and then have breakfast on the lanai!